Orthodontia can help, no matter your teeth’s current condition. If you’re reading this, we assume it’s because you or a loved one may need to correct the position of your teeth. No matter what the problem, be assured that there is a solution! Whether it is for you or your child, Penn Dental Medicine offers top-of-the-line orthodontia treatment. It´s never too late to get orthodontic treatment. Our quick and easy guide for how to get straight teeth, we explain how you can become a client with Penn Dental Medicine and what having braces might involve for you. Step1: You realize you have a bad bite or crooked teeth. You might have been aware of this all your life, or perhaps it becomes apparent when it translates into a daily problem for you. For example, you could suffer from jaw problems, higher incidence of tooth decay and instability, and even issues caused by your bite (it’s not unheard of that the teeth could grow too large in one part of your mouth). Step 2: Find a dentist and schedule yourself. 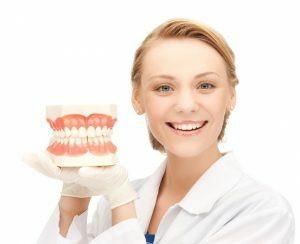 If you live in the Philadelphia area, or even a few hours away, it is well worth it to make an appointment with a Penn dentist. By filling out this very simple appointment form, you will quickly be added to the queue for upcoming appointments. Or if you prefer, you can call us using this number: 215-898-8965. We can be reached from 8:00am to 5:00pm, Monday through Friday. Step 3: Go to your appointment for examination. You will receive an initial orthodontic examination in which we will take your medical history and examine your teeth and general health. Then, your doctor will determine whether you are eligible to participate in our program. Because we are a dental school, we have to select patients according to the requirements of the curriculum. When you get accepted to the program, you will receive orthodontic treatment for very low prices, from students overseen by highly qualified dental professionals. Our patients tend to agree that it’s a great deal for them! If you’re not accepted into the program, we will still provide a treatment recommendation based on your examinations. Learn more about orthodontics at Penn Dental Medicine, or give us a call today at 215-898-8965 to take the first step to get straight teeth!